Recently, art therapy has become very popular and is called antistress coloring pages. This is a modern way to stop the fussy flow of life and be alone with yourself, calm down and pull yourself together, find harmony. A feature of these colorings is the variety of shapes and elements. We decided to depart from the usual templates of step-by-step instructions and suggest you create this creation from scratch together. 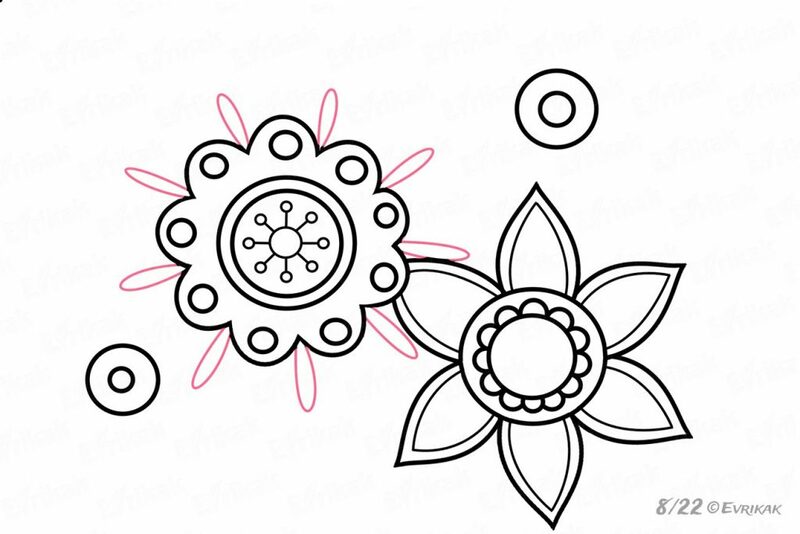 You will have the opportunity to paint patterns online, but first, let's draw them. 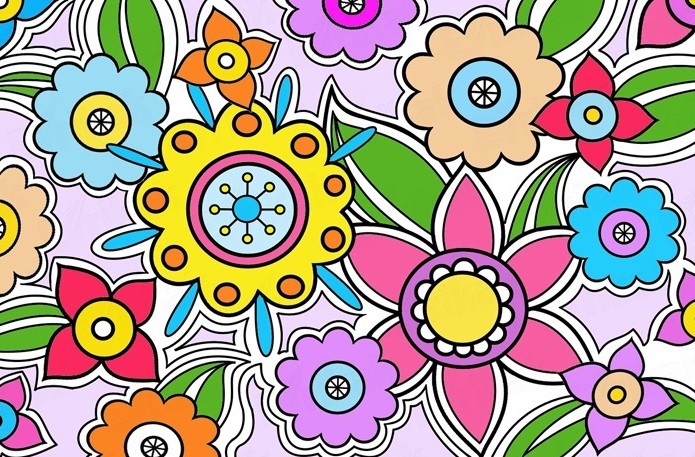 It can be flowers, cities, mandalas, funny and bizarre pictures. 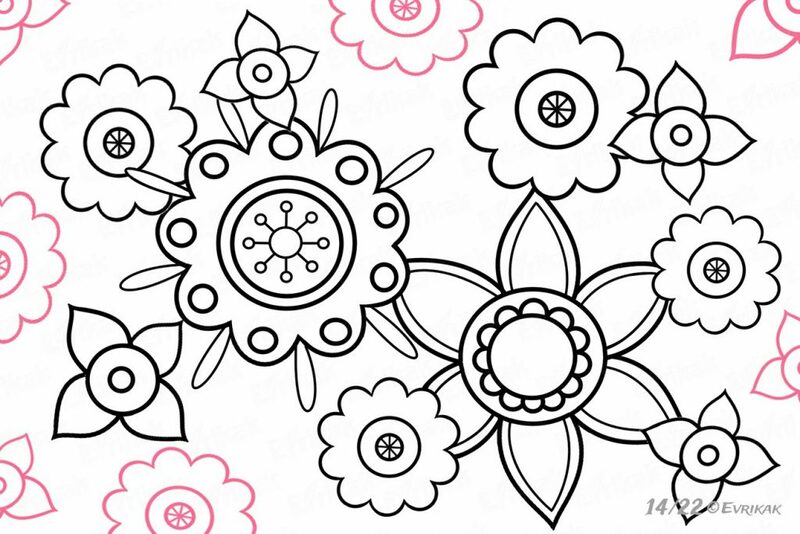 Today we will demonstrate how step by step color of antistress coloring pages with fantastic colors. As already said - today we have colored patterns. 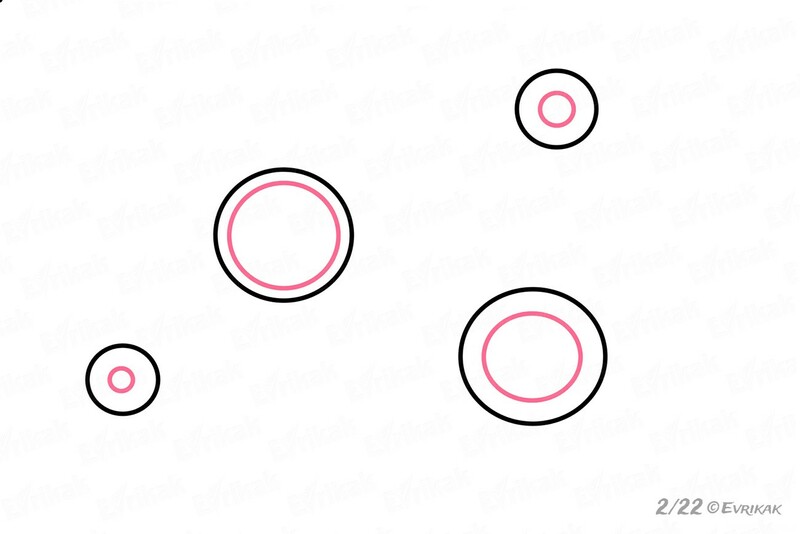 Draw 4 circles of different sizes with the help of a circular. These are the middle of the heads of flowers. You can place them on the sheet at your discretion. 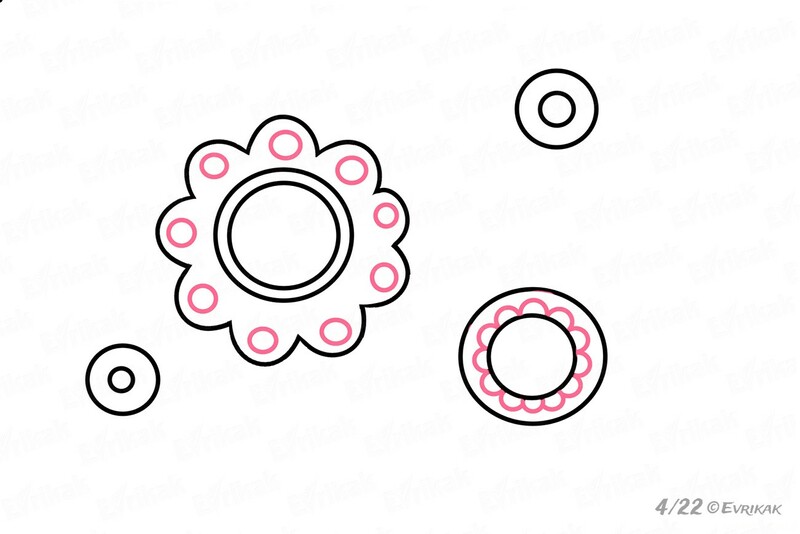 Just do not forget that around these figures will grow petals, leaves and other details. Therefore, drawing a figure too close is not recommended. Otherwise, you will have to erase many details in the process, which will make the drawing inaccurate. 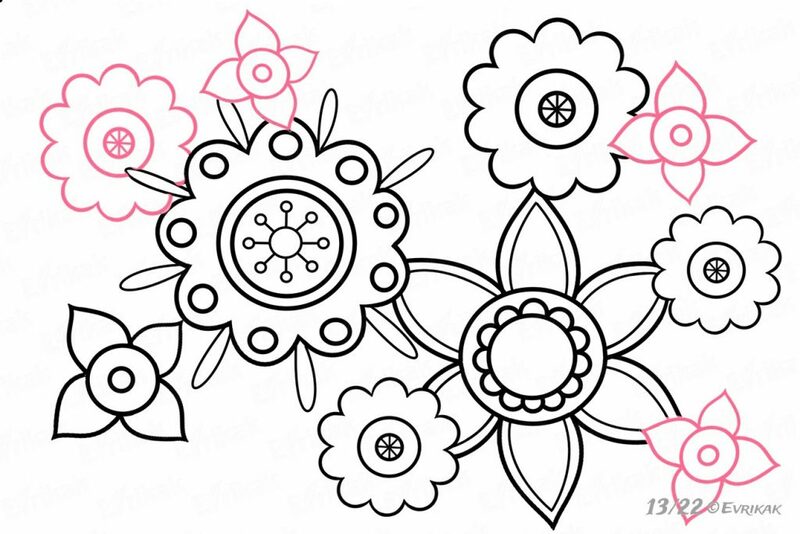 Since the feature of the coloring of the antistress is a large number of different details, we take this into account too. 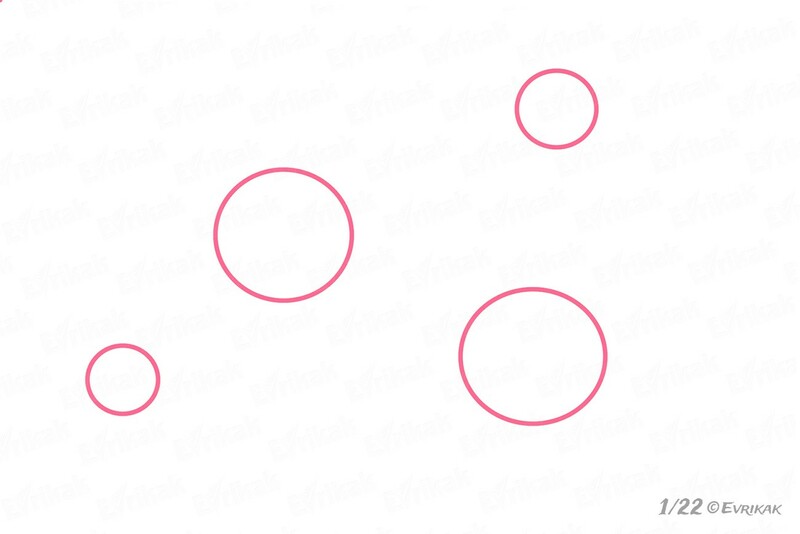 Add small circles inside the main shapes. 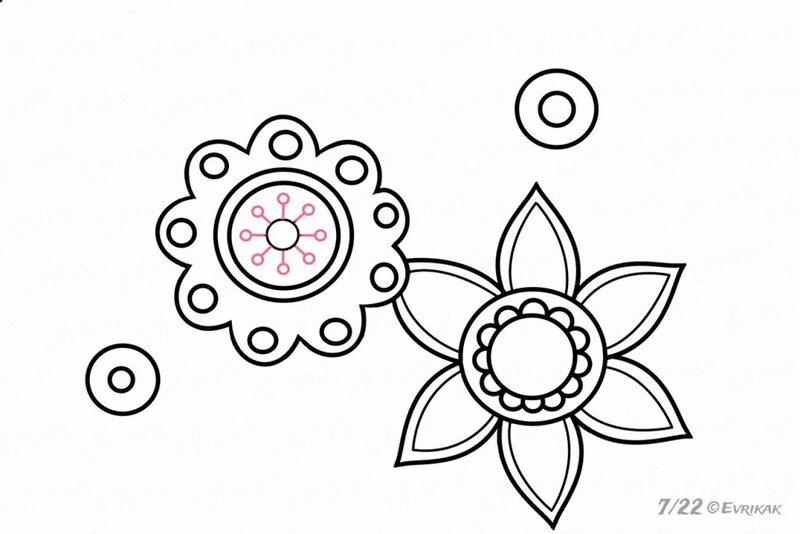 Wavy lines represent the petals. They should be as much as possible. 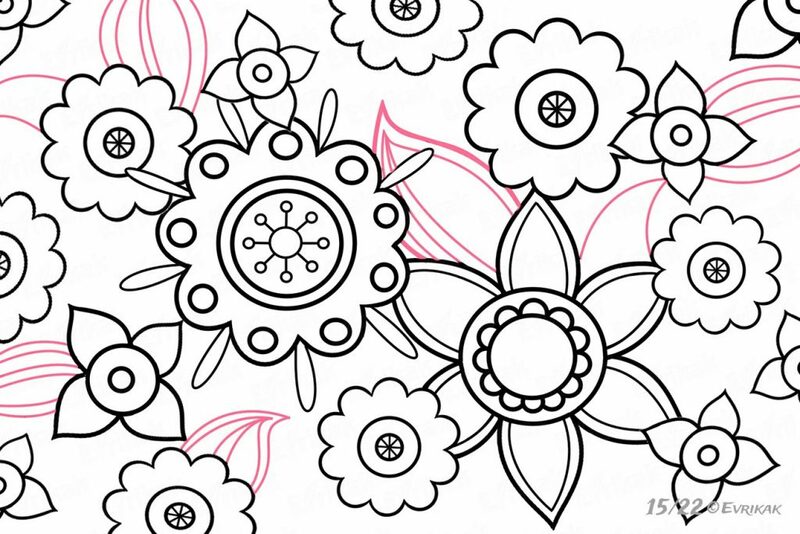 The clarity and correctness of the lines is a prerequisite for coloring. If the lines are curved, the result will be quite different. 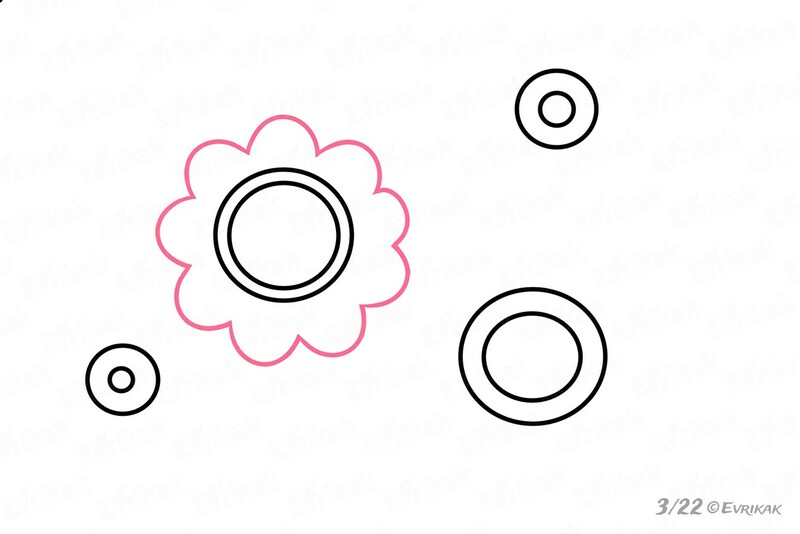 We decorate petals with small circles similar to buttons. While the hand "remembers" the process of creating circular petals, we proceed to the image of the second flower from the same pattern. Connect the fantasy. Flowers should be different from each other not only in size, but also in shape. To the next middle, you can give the role of narcissus and draw sharp petals. 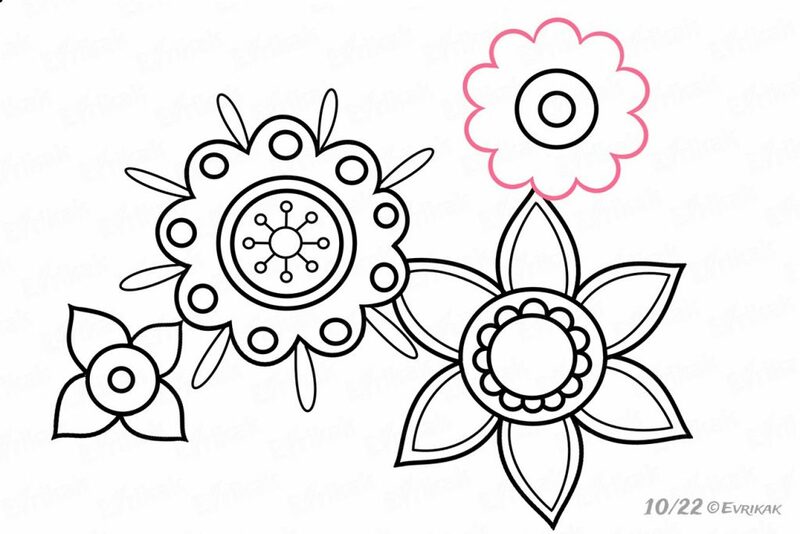 On these coloring pages, there should be as much detailed as possible, so you can safely add the following elements. Since the most flowers are easiest to paint, they can be decorated with small details. Then, the picture will be much more beautiful, especially after coloring. Carefully follow the instructions not to miss anything. We impregnate the flower of magic with elongated droplets. To make it easier to paint, and the image does not look pinched, you can add a smaller number of petals to smaller flowers. You can come up with your petal options. You can also decorate details at your discretion. The main elements of the coloring page are ready. We add a few more colors. They can cover large flowers, they can be behind them. This will make the drawing more alive. Just do not forget to delete lines that intersect. It will depend on the location of the colors. 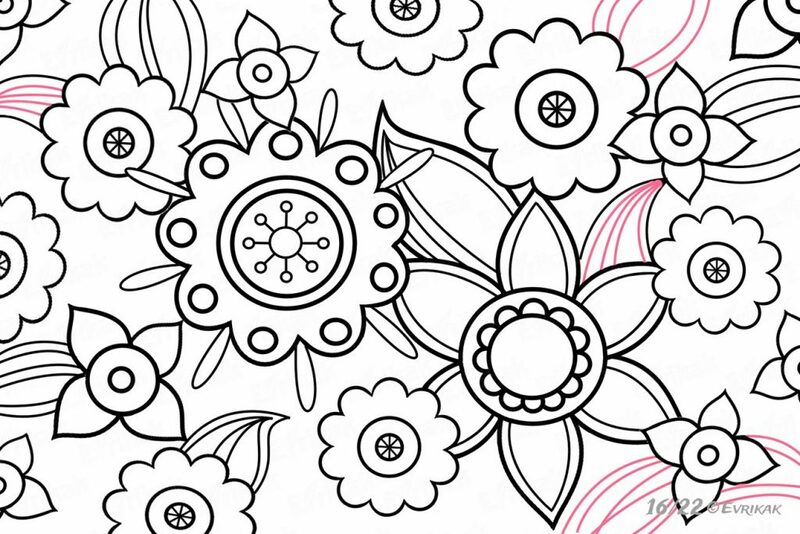 We should not have free space on the sheet, so we continue to draw flowers. Completely they all do not fit, so do not be afraid if some area half hidden. 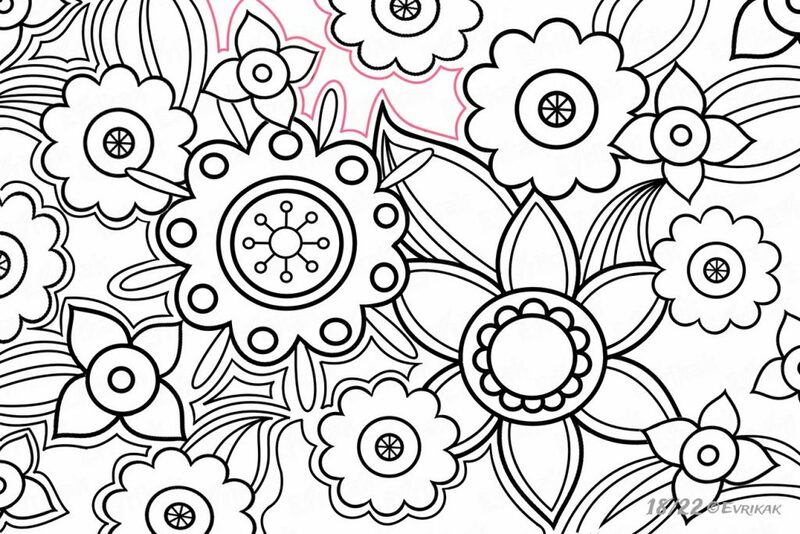 The top part of the flowers is finished. We proceed to the image of the leaves. In size and shape, they must also be different. We have finished depicting the main details. Now you need to fill the empty space on the sheet as much as possible. We do this with different patterns and other interesting details. You can bring out the outlines. Make an impression that the number of details in this figure is infinite. White areas on the sheet should not be conspicuous. 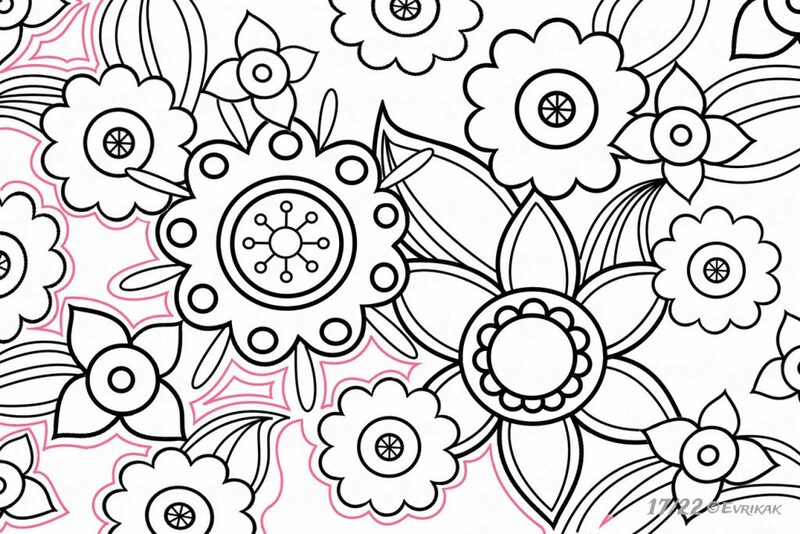 If this is the case, the antistress coloring page is ready.